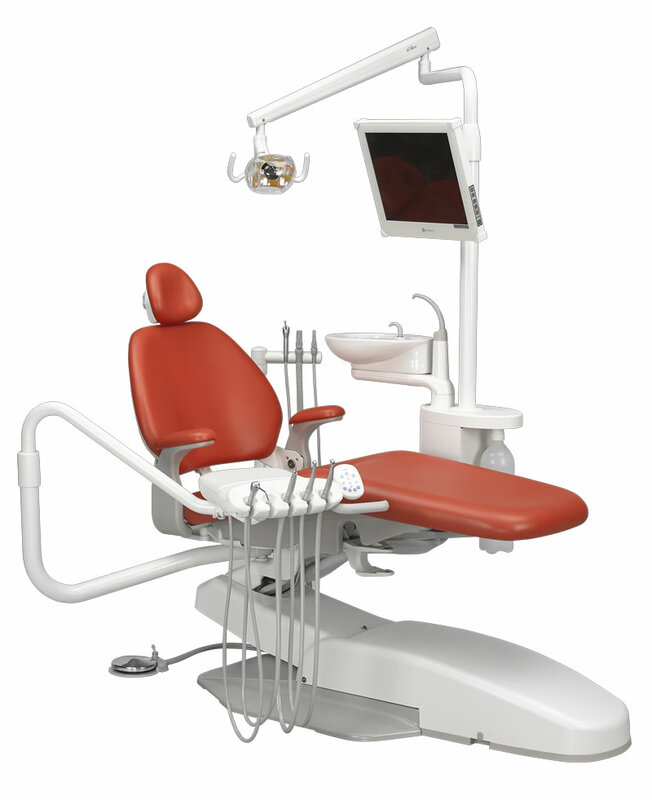 Whatever challenge you are facing, you know you can trust your dental chair Primus 1058 Life. Enjoy the exceptional reliability at your practice everyday. 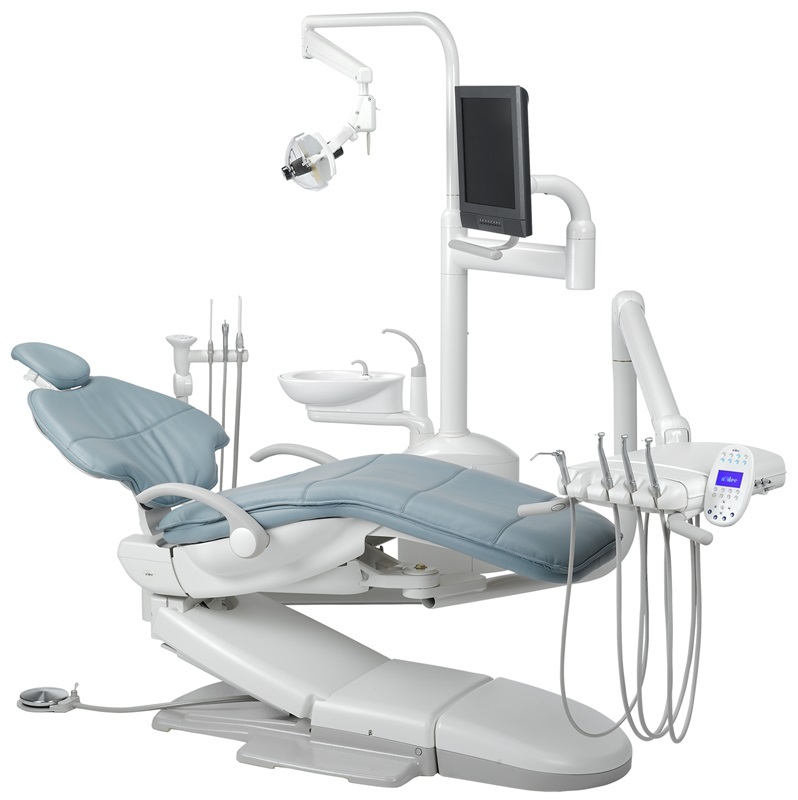 The Primus 1058 Life dental chair was designed with a major focus on functional reliability and pronounced economic efficiency. Demonstrate your ability to identify excellent value for your money and join thousands of dentists throughout the world who report that their Primus 1058 “runs and runs and keeps running”. 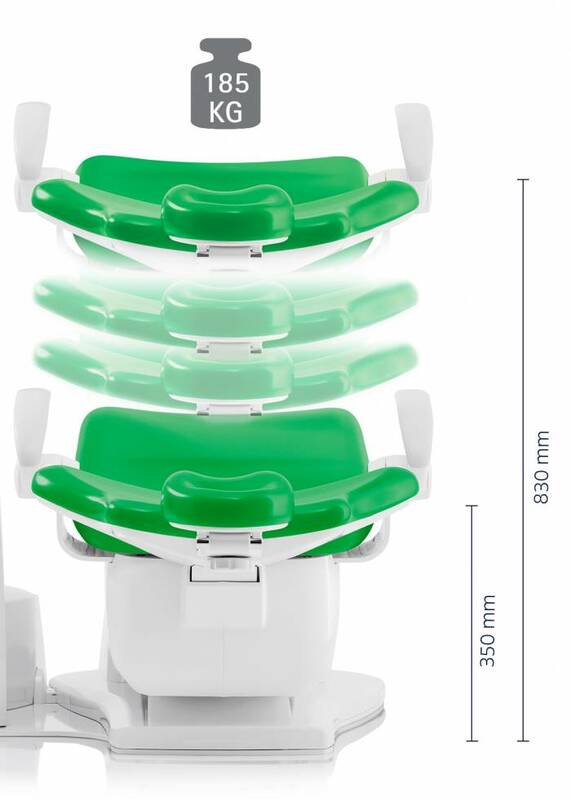 Dental chair KaVo Primus 1058 Life. Proven quality. Redefined. Trust us. CONEXIO patient communication system. Ready to go. The Primus 1058 Life has always been designed for sustained power. High-quality components that match each other perfectly are processed at high precision for this purpose. The entire unit, from the smallest screw to the whole unit body, is designed for maximum load and durability. Our products are subjected to comprehensive tests to ensure that they withstand their daily workloads, helping to avoid breakdown or other costly complications and to ensure that you keep relying on us in the future. The new dentist element. Sophisticated, simplified. Configure your dentist element to perfectly match your requirements. 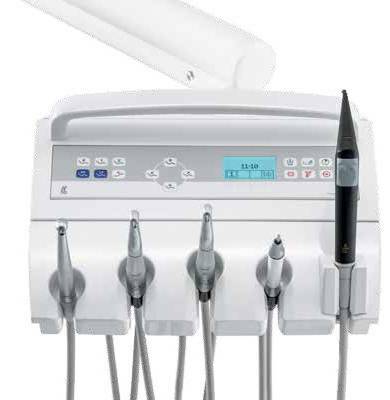 You can freely configure five handpiece trays and still make modifications later on. This allows you flexibility for the future. No detours, straight to the goal: More direct buttons for automatic functions, help to save you time. Easily keep an overview with the new clearly-structured film keypad and integrated display. 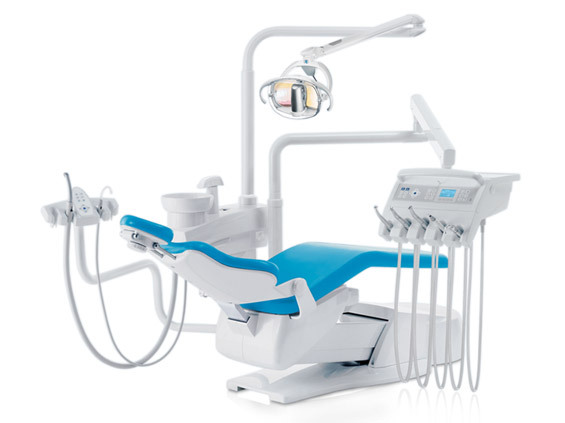 Ergonomic efficiency every day: No matter if you perform the treatment sitting down or standing up: The dentist element of your Primus 1058 Life supports you through its sophisticated ergonomics. Avoid stretching or twisting. 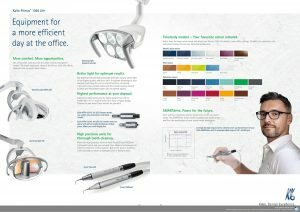 Optimised access assures efficient processes. If patients feel comfortable on the patient chair, they tend to move much less. The newly designed soft and ergonomically shaped upholstery make a significant contribution to this goal. 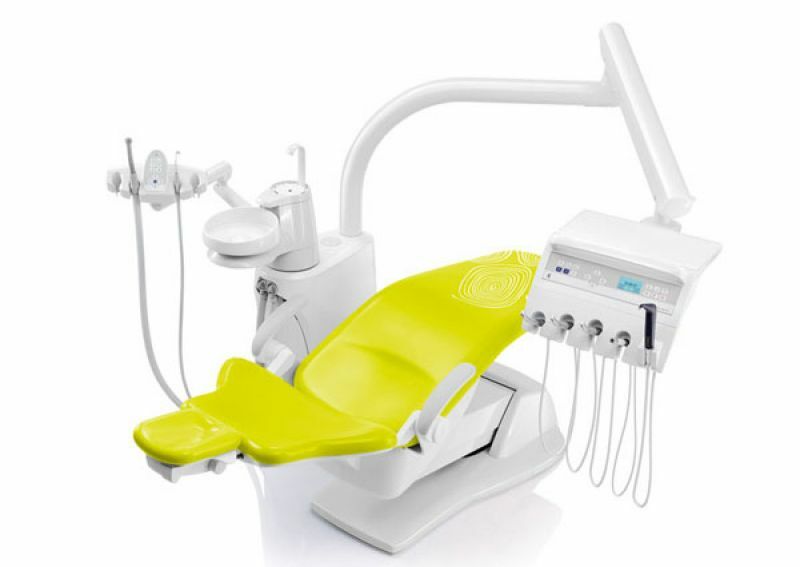 This allows you to work much more efficiently and to fully focus on the treatment. 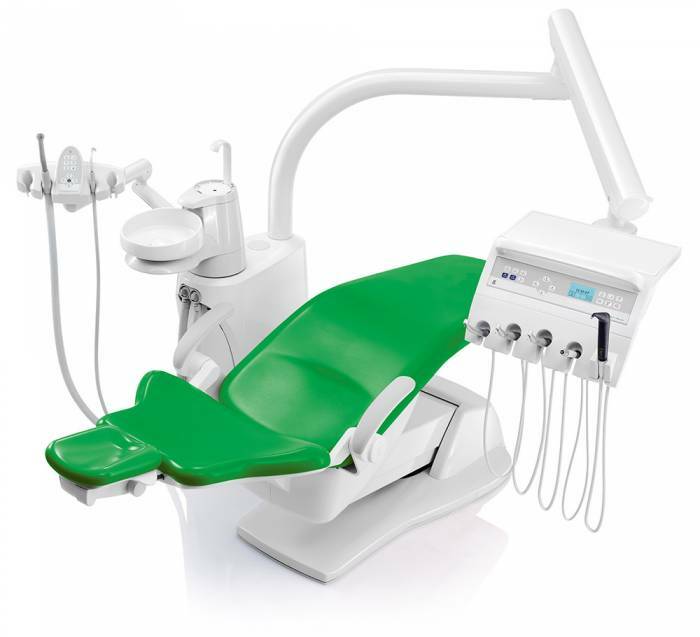 Ideal for all requirements with improved highest and lowest position as well as higher maximum patient weight. Good for you. Good for your patients. Adapt the flexible reversible cushion and the double-jointed headrest optimally for the indication or size of the patient. If your patient is well positioned, you can work comfortably.